Imagine that wearing clothes can be so uncomfortable that you refuse to get dressed. Coming into contact with other people can be so disturbing that you crawl under tables to be alone. The idea of someone brushing past your elbow is enough to make you avoid public places altogether. This isn’t the assertion of your independence. This is the world of children who struggle with sensory processing issues. Children with sensory disorders respond to the information they process from their senses in a variety of ways. As many as 15% of school-age children have one sensory disorder or another. This means that it is as common as ADHD and more common than autism. Exactly what to expect from kids with a sensory issue is difficult to pin down. Some children will be sensory seeking, while others would be sensory avoiding. They are often a combination of both. For people without some insight into this condition, it can be very confusing. Many kids with a sensory disorder bump into things. Some can’t tell if their arms or legs are off the ground or not. A child who responds with great sensitivity to touch, sound and stimulation would be sensory avoiding. The sounds of a lawnmower might be overwhelming. This is also known as tactile defensiveness or sensitivity. Other children would under-react to stimuli. For these kids, the process of their sensory input is slow. Even pain wouldn’t get an appropriate response. They would be sensory seeking. Parents of these children have a further challenge. Sensory processing disorders are not currently recognised by the medical profession. If your child struggles with processing sensory information you often can’t find help from doctors. You will need to seek assistance from occupational therapists. All this makes for a difficult schooling experience. School brings all the issues of loud noises and crowded public spaces into one intense experience. Sensory stimulation is heightened for many hours each day. This happens for at least five days a week. For the child with a hypersensitive sensory struggle, this can be terrifying. For the child who underreacts, it can be dangerous. They might not realise if they have been hurt. It might provoke other students to try and get a response from them. Sensory processing disorders also lead to very fussy eaters. The texture of certain foods can be too much for the children. Even what others might find a pleasant aroma could be unbearable for these kids. 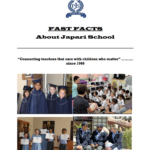 There is another factor that impacts on the schooling experience of these children. Many of these kids struggle with social awkwardness. This can go in two directions. Often these children pull away rather than embrace social situations. But on the other end of the spectrum are the children who cannot help but touch things that intrigue them. These children would find themselves unable to stop playing with a friend’s curly hair. They would play with clothing they find interesting – while being worn by other children. Having a conversation with a child struggling with sensory disorders is a challenge. For these and other reasons, parents might consider independent schooling. For children struggling with sensory processing issues, it could be a very good option. 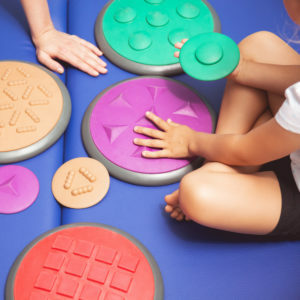 Independent schools which cater to the special needs of tactile defensiveness or under-sensitivity would be ideal. And if the school has a dedicated occupational therapist all the better. One reason independent schooling would work for the child with sensory disorders is the smaller classes. This makes the environment more manageable for the teacher. The teacher can cut down on loud noises and sensory overload. The teacher would also have more time to work through communication gaps. This is very important in teaching children with sensory challenges. With fewer students, it becomes possible for the whole student body to be aware of an individual’s needs. This also means that they can cater for the socially awkward children. There is Help for Parents of Children with Sensory Processing Issues! Parents dealing with sensory processing challenges must know that there is help available. There are many resources online to give you ideas on how to manage your children’s needs. There are also online support communities to seek out. The key is getting to know what your child’s preferences are. This will mean that you can plan ahead. If wool hurts their skin, you can get appropriate winter clothing well in advance. There are sensory-friendly indoor activities. An indoor ball pit and play dough are great options. Twister is a winner if your child is sensitive to sounds. Create a dimly lit, quiet and clutter-free chill-out zone. For emotional times this would be very helpful. Labelling items and keeping to a schedule have been shown to be very helpful to sensory processing. Breaking down tasks into simple steps helps the children not to feel overwhelmed. Writing the steps on the whiteboard helps them see the tasks as manageable. By learning their needs you will both be able to enjoy each other. There are real challenges. It will take effort. But seeing your child thriving despite their sensory processing disorder will be amazing! It will be worth it.